Priyanka Chopra is the new Guess girl! Already an award winning Bollywood icon, former Miss World, recording artist and actress – Chopra can now add ‘Guess Girl’ to her resume. Paul Marciano, Creative Director for Guess Inc. hand-picked Chopra to front the Holiday 2013 advertising campaign. “Priyanka’s confidence, strength and sensuality reflect the qualities I always look for in a model. Priyanka reminds me of a young Sophia Loren and the top actresses of the 1950s.” said Marciano. The beautiful images were shot by former Guess collaborator and musician, Bryan Adams. The campaign is very reminiscence of the 90s free-spirited glamour, with the signature black and white images. Adams took us back to the basics in these images – Priyanka sporting lightly teased hair and winged eyeliner. Very Sophia Loren – Priyanka portrays a movie star, set in a Mediterranean villa styled in the season’s top dresses. Way to go Marciano, way to go! Be sure to keep and eye out for the campaign’s official release in December. Will be seen in December issues of top fashion and lifestyle magazines, Guess retail stores, Guess.com, online and outdoor media. It’s becoming a common trend for designers to publicly disclose which stars they’re outfitting for their tours. It’s usually great timing too, where the designers’ new collection debutes around the same at the artist’s tour. It also makes perfect sense right – the pairing of a popular artist with a popular brand, why not! 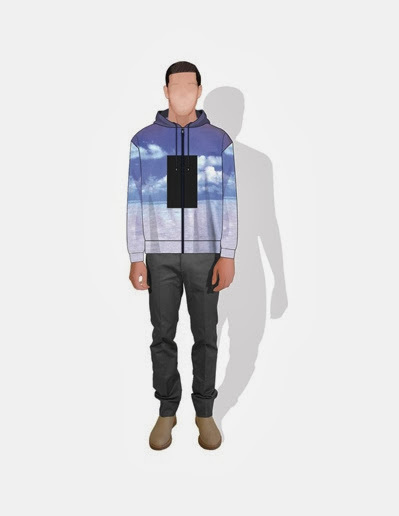 This allows designers to easily incorporate their new designs into the tour looks. In this case Calvin Klein Mens Creative Director Italo Zucchelli is the brains behind Drake’s tour looks. 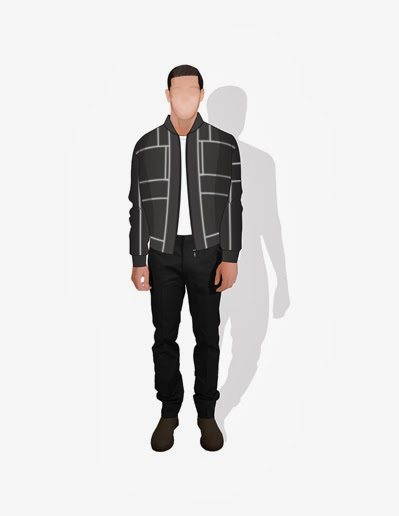 The designer put together looks for Drake by mixing custom-made and runway pieces from the mens Spring/Summer 2014 collection. But don’t think for a second this is the first time Zucchelli has headed the designs for rappers. He’s also worked with Kanye, Jay-Z, Tinie Tempah and Kid Cudi in the past. 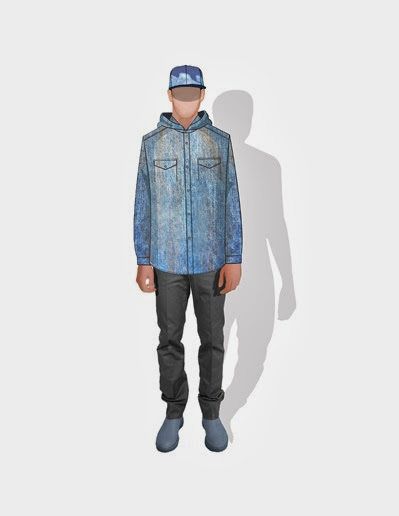 See below as the looks are organized into three distinctive aesthetics: blue sky, sporty and denim. The second shows a buttoned up hoodie that incorporates technical fabrics, neon details and reflective accents. The third set is composed of looks in head-to-toe denim, one of the brand’s most famous legacies. 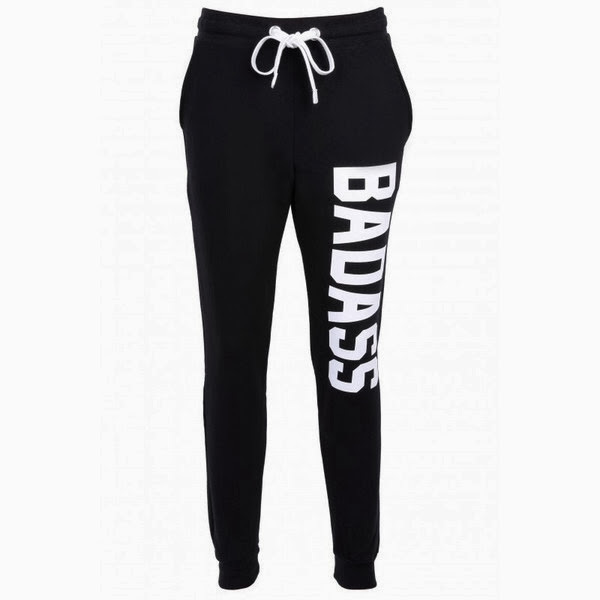 These sweatpants are, well, pretty badass! But don’t just think these babies are home bodies. Take these out for the night by pairing them with the unexpected, with some heels for a sporty chic look. For sweatpants they’re not so budget friendly, priced at $64, but hey this can be a splurge item right! Next month we are ‘going live’ – literally! Join model Ty Ford as he takes us up close and personal into his world, streaming a live photoshoot for the entire world to see. You as the viewers are invited to watch every moment happen in real time. I know you’ve all heard stories about what goes on behind the scenes, but this is a first, you as the viewers will get to see a live photoshoot from start to finish. “Going Live is something I thought would be amazing to show people how passionate I am about the art of fashion and model.” Ford says. With technology being a huge asset to fashion today, Ty Ford is using this to his advantage to set a trend for models to come. 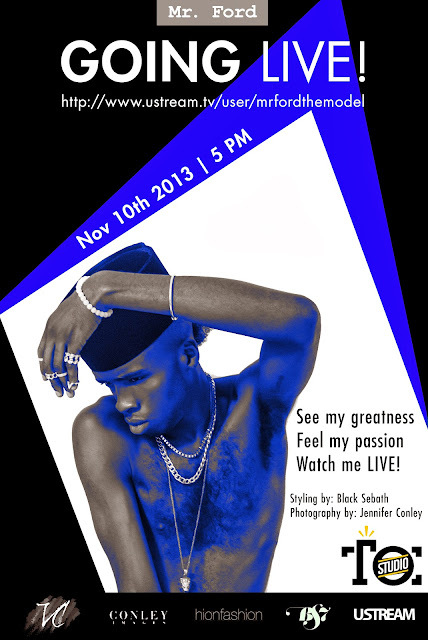 So be sure to tune in on November 10th at 5pm EST for the live stream here http://www.ustream.tv/user/mrfordthemodel. Also follow along live on twitter, @hionfashion and @SlinkazTheModel using the hashtag #GOINGLIVENOV2013. Was never one for outfit posts on my blog, but recently was inspired to give it a shot. Nine to five you can find me in the Corporate world and when I’m not i’m constantly keeping up in fashion. All the fashion keep up is done via mobile (oh I love thee iphone). Whether during my commute to work (as I’m writing this) or at home (usually late at night) I’m usually reading up on the lastest fashion news, trend, runway show, collaboration, you name it! Sometimes you will catch me at family or friends’ function buried in my phone, but I really don’t mean to be rude, I just get really excited about a blog post idea, fashion news I just read or even an item I came across. Yeah I know it sounds silly, but the fashion folks know what I mean – right! I’ve even blogged while driving (highly do not recommend this for obvious reasons). So here goes, to my first official outfit post! This Michael Kors Hamilton large tote is by far the best (and most expensive) purchase I’ve made to date. It was a well deserved purchase as I usually shop sale and thrift. Plus every woman needs one expensive and grown up bag in her life. The top is from one of The Bay’s in store brands. The skirt is from one of my favourite stores to shop in, Urban Outfitters – you can always find a good deal there on trendy pieces. By the way, I love a good bell skirt or fit and flare silhouette. The shoes I’ve had for some time now and I don’t recall where I bought them. I know, that’s how much they mean to me. Two cult brands have joined forces once again to create some cool footwear. If you recall, their initial collaboration took place around time last year as well. Could this turn in an annual collaboration? – Maybe! This time around you will see that the focus is once again on the side panel for each style. 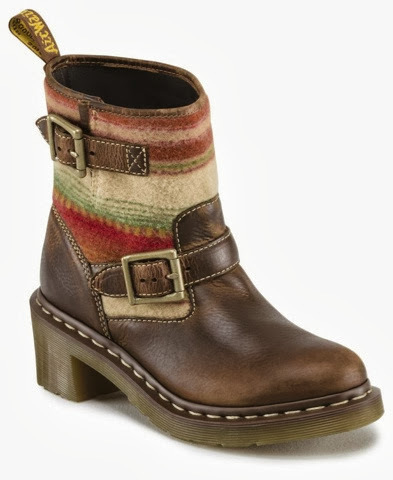 The Santa Fe Stripe is heavily used, which are usually found on Pendleton’s warm jackets. 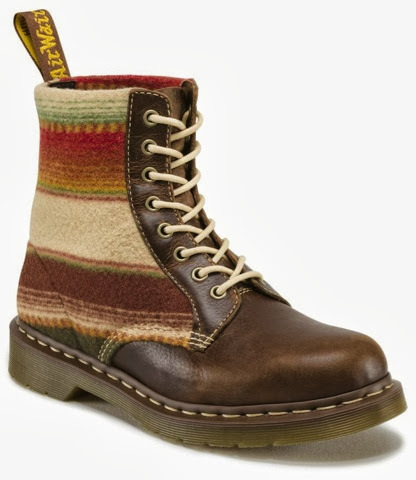 With Dr. Martens’ classic boot and Pendleton’s vibrant prints you get a worthy mix of the classic and cool – not bad right! Combining both quality and craftsmanship, both brands have come together to create three styles: a traditional 3989 Brogue Shoe and 1460 8-eye Boot for men and women, and an Ankle Biker Boot exclusively for women. Check out the campaign clip #STANDFORSOMEYHING featuring rodeo announcer Marty Campbell here. 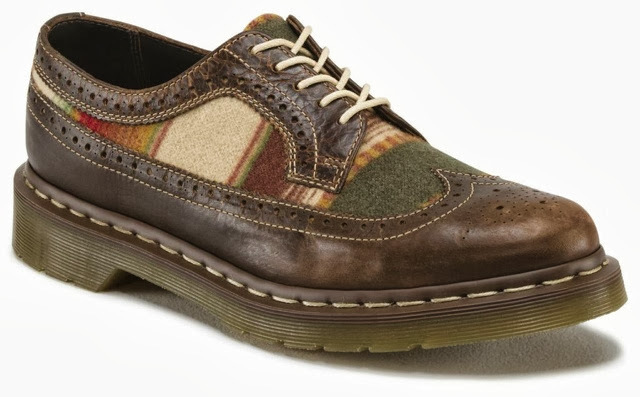 The collection will be available from early October in Dr. Martens stores across Canada as well as online. Yes yes, I know, the weather is a little cooler, but hey, there’s never a bad time to purchase a swimsuit. Stumbled upon this cool little one piece and fell in love. Frank Ocean anyone? Yes, you may have been living under rock if you don’t already know this track ‘Swim Good’. Not judging though. I further read up on this brand and i’m really digging what they stand for. With a name like ‘This Is A Love Song’ aka TIALS you do get that free spirited wanna have a good time, fall in love and be happy kinda gal. With music, love and good times as their motto, this name sure fits well. You can find their pieces in major US stores and select boutiques across Australasia and Europe. Spotted back in July, Rihanna was seen out and about rocking the popular leather pant trend. She kicked it up a notch by choosing a bright blue trouser style. She topped off the look with a MadeMe black Slutz crop top, Rihanna for River Island barely there stiletto sandal, Zanzan cat-eye sunglasses and a snapback. I’ve rounded up this season’s toppers that will keep you looking both stylish and warm through the next few months. 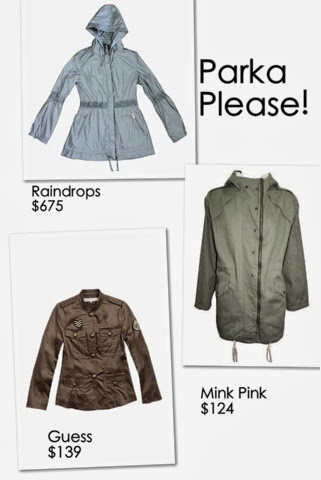 Take your pick, from biker, trench, parka or sporty. 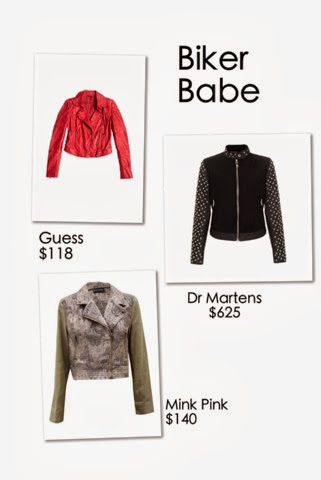 The biker jacket is a Fall must have, but also a wardrobe staple, period. This season, try mixing it up by taking your classic piece up a notch. Choosing styles away from the traditional, with a pop of colour, embellishments or contrast. This season invest in a great quality coat that will take you from day to night. 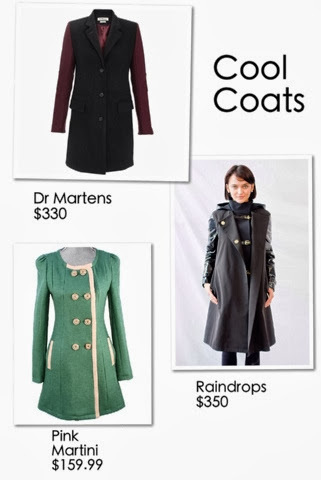 To help you narrow down your coat choice, try one of the seasons tops styles: oversized, classic a bright hue. Borrow from the boyfriend with an oversized style with large buttons and pockets. If traditional is your style, the classic coat will suit you just fine. Looking for a pop of colour? Try going green. This piece is a go-to favourite for the on-the-go gals. This season choose a style with a sinched in waist or a stand out pattern or detailed stitching. Athletic gals need style too right! Sporting jackets are usually all about being functional. 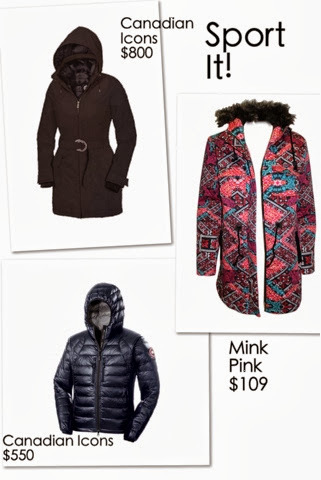 This season choose styles that are both functional and fashion forward on the slopes.